This past weekend I attended my second SAW conference, held at the Westerwood Hotel Golf and Country Club just outside Glasgow, and once again returned home inspired and full of enthusiasm. 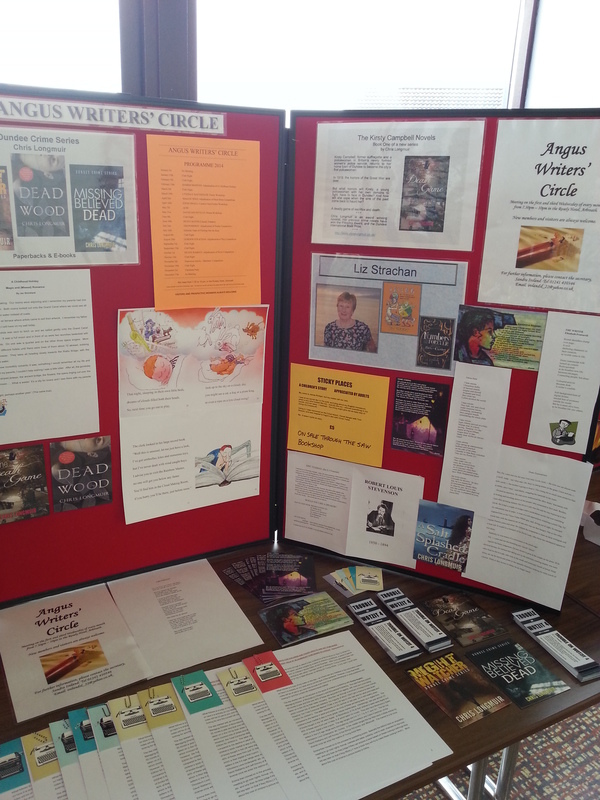 Members of the Angus Writers’ Circle came away with one 3rd place finish and some commended and highly commended places in a number of the competitions and I was thrilled to receive a highly commended for my Under 7s Short Story – ‘The Burp Monster’. 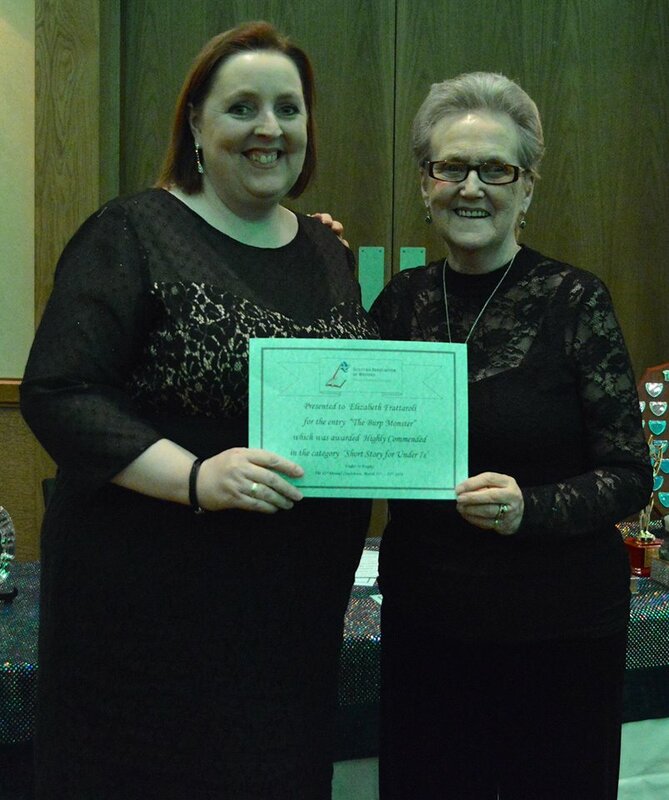 Here I am receiving my certificate after the gala dinner. Next Voting for the March mini writing competition is now open! Many Congratulations, you deserve it. I’m sorry I haven’t done anything for your competitions lately, it seems there is always something sending my plans pear-shaped! I’ve enjoyed reading the entries though and hope to take part again soon 🙂 I look forward to finding out this month’s winner!